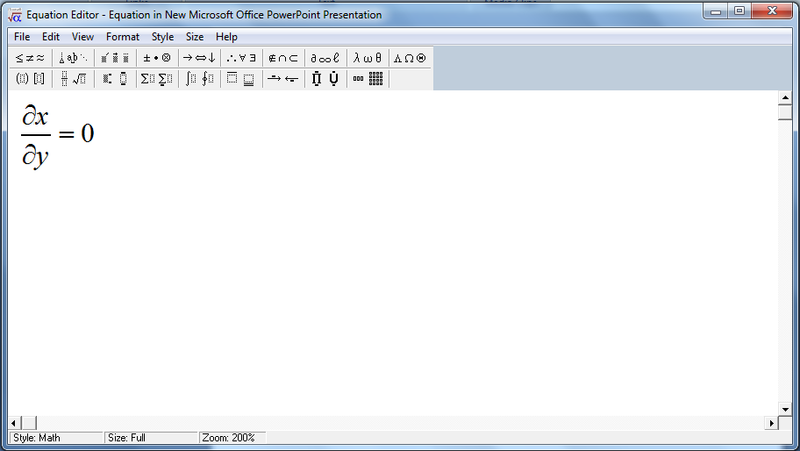 Using slides for giving presentations or talks has been common and popular. Even classrooms and companies will have an option to project the slides using over head projector or large LCD displays. 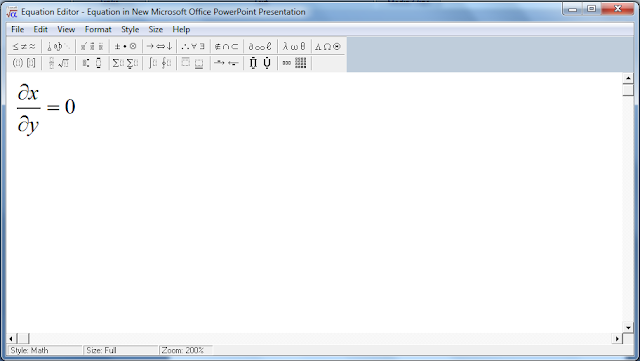 Using Microsoft PowerPoint is simple and it is powerful software used for preparing the presentations. But for giving technical talks one has to make use of equations whenever necessary. 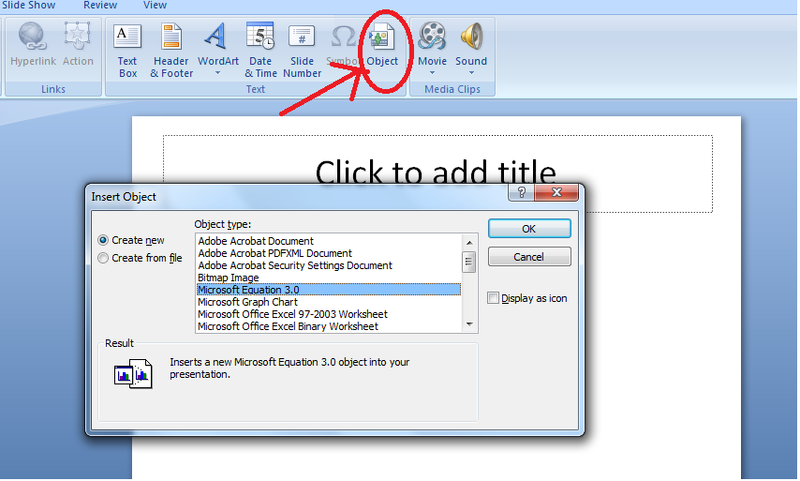 This post will tell you how to insert equations into PowerPoint slides. Select Microsoft Equation 3.0 from the scroll menu and click OK. New window called Equation Editor will be open having various equation types like fraction, exponential and also symbols like partial differentiation, Alpha etc will be present. The equations will be automatically inserted into the slide as soon as the equation editor is closed. Adjust the position of equation as required in the slide. The very name Hassan to the city is because of presence of Hasanamba temple in the heart of city. Hasanamba temple is one of the popular temples of Karnataka came to light recently. Devotees from all over the state will visit this temple. The specialty of this temple is that it will be open only once in a year and that too for only one week. With the request of many, in 2012 it was decided to keep the temple open for fifteen days. Temple renovation work is going on and the construction of large Gopuram is going on in-front of temple. Because of huge number of visitors even arrangements are made for special darshan with ticket costing Rs 250. I visited this temple as I heard that the flower offered to Goddess a year back will be fresh as it is even after a year. When I visited this place because of huge queue of visitors it was not possible to see deity properly and enquire anything about it. There is no idol of Goddess as I observed. There was a large stone decorated with saree and flowers to which pooja is offered. While opening the temple, the banana plant is tied to entrance and it will be cut by the members belonging to a particular family. On one side of Hasanamba temple is the Siddeshwara Swami temple and the other side there are two three small temples. While closing the temple, raw rice of two bags will be kept. Also there is a belief that a kid who was mistakenly forgotten inside the temple was alive even after a year when temple was open. I didn't get any much info as it may be a rumor too. Halebidu is situated at a distance of 18 KMS from Belur housing important hoysala style of temple. There is a saying that the outside beauty of Halebidu temple is good and the inside beauty of Belur temple is good. Halebidu temple walls also have many stone carvings. There are two Shivalingas present at the Halebidu temple namely Hoysaleshwara and Kedareshwara. Each Shivalinga has individual large Nandi in-front of them, housed in attractive temple like structures. There is also a museum housing many of rare stone carvings in the temple premise maintained by the department of Archaeology. Hoysala royal family members used to pray this Ganesha idol before entering the temple. Instances from Mahabharatha are carved on temple walls. The Gown used by Juries in England is depicted centuries before in India. The stone carvings are not placed in slanting position even though there is an option to keep stone carvings down the roof as in the case of Belur temple. I feel that the temple is unfinished as there are few places which are not destroyed but still some carvings are missing. Next to temple premises is the lake called Dwarasamudram. Boating facility is there in this lake. Belur, Chikmagalur houses the famous Channakeshava Swamy Temple, an excellent archeological marvel. The stone carvings present inside and outside the temple walls makes us spell bound. The large area houses many temples, main among them are the Channakeshava Swamy Temple and Kappe-Channakeshava Swamy temples. Channakeshava Swamy is the main deity. There is no restriction on photography except taking photographs of main deity. Inside the temple premise Rs 20 will be charged as fees for search light for focusing on interior designs, it is waived for those opting for the guide service. Gopuram of temple looks like it is built recently compared to the temple inside. Kappe-Channakeshava Swamy temple is the blue print of actual Channakeshava Swamy temple built as reference. The main deity Channakeshava Swamy temple’s outside wall is surrounded by artistic stone carvings depicting instances of Mahabharatha and other prominent rituals of rulers. The stone carving of Elephant in different positions is present at the ground level surrounding the temple. The temple entrance door has the following stone carving on the top, the minute art looks so attractive and very difficult to understand without the help of guide. The stone carving involves Ugra Narasimha and the animals present on either sides have features of seven animals like trunk of Elephant, body of Lion etc., There are three doors to enter temple except at the back side. Woman going for walk with her kids. Kid on right side holding a pet with the help of chain! Inside the temple also the carvings are attracting and the roof standing on four pillars has the carving of Ugra Narasimha. The four corner pillars of roof has four stone carvings placed slant. All these carvings are believed to be made by Jakanacharya popularly known as Amarashilpi Jakanacharya as his carvings are immortal and second to none in the World.